Tomorrow is Earth Day, and as gardeners, many of us are striving to become more self-sufficient, save money, and be more sustainable. Therefore, in honor of Earth Week, here is a list of ten tips that we can all use to make our gardens and yards more environmentally friendly. 1. Eliminate toxic chemicals and embrace organic growing. There is a growing body of evidence to support the fact that toxic garden and landscaping chemicals are not only bad for the environment (e.g., killing our pollinators and generating pollution in our rivers, streams, and lakes), but they are also bad for us. For example, recent research has just come out that glyphosate, a common yard chemical that seems to be everywhere, negatively affects male fertility, in addition to probably a whole host of other negative health effects. And, if you read the label on the back of a container of glyphosate, it says that it is produced by a company that many of us are currently boycotting for other reasons (ahem, GMOs). Here is a great article that discusses the toxicity of many garden chemicals. 2. 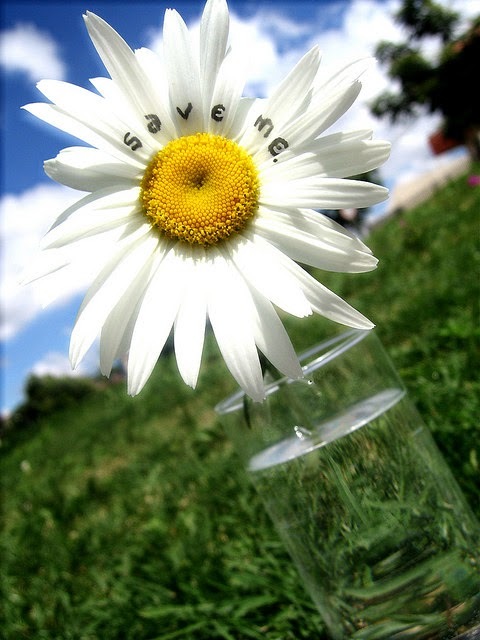 Reduce the water use in your garden. There are many ways to do this, but a few ideas to get you thinking include: capturing rainwater in rain barrels and using that as a water source for your garden, using drip hoses/drip irrigation in your garden to water your plants, putting mulch over your garden to help retain the moisture in your soil, and planting edible perennial plants, such as perennial herbs that will come back year after year, and put down deep roots into the ground, which make them much less dependent on frequent watering than typical annual crops are. 3. Compost your kitchen scraps and add them to your garden as a source of soil nutrients. Many gardeners are probably doing this already, but composting really is a great way to reduce the overall waste of your household and reuse your “trash” by using it as nutrient-rich and organic compost for your garden and landscape. For more information on how to compost, this article from Mother Earth News is a great resource. 4. Recycle It! You can reuse many items that would otherwise go into your recycling bin by giving them a second life in your garden. For instance, this past weekend, I learned how to make paper pots out of newspaper and pots out of toilet paper rolls. The great thing about these types of “pots” is that you can start seeds right in them and then when it is time to plant your seedlings outdoors, you just plant the entire thing into the ground. 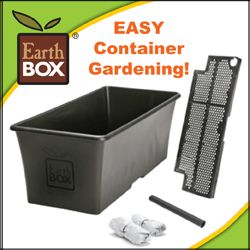 The “pots” that the seedlings are in will just compost into the soil around your plants. See below for the video that I found with instructions for making the paper pots. It takes a little bit of practice, but once you get the hang of it, you may never want to buy those plastic seed starting cells again! Below is a picture of some of the “pots” that I made out of recyclable materials. Make sure that whatever materials you choose to use as pots will allow for adequate drainage. Notice the pot that I made out of a former paper coffee cup. I made sure to make a couple of drainage holes at the bottom of the cup. I have also heard of people using paper egg cartons to start their seeds in, but I have personally not tried that yet. 5. Plant perennials for pollinators. This is very important, since our garden plants rely heavily on pollinators such as honeybees. Pollinator populations have also been sharply declining over the last few years due to the widespread use of many types of agricultural chemicals and habitat loss. To learn more, check out this post that I wrote last week. 6. Buy Quality. When buying tools, try to invest in the best tools that you can afford. This is definitely one area that you don’t want to go cheap. Cheap tools often break and then you will just need to replace them later. I had this point reinforced in my own gardening experience last year, when an inexpensive trowel that I had purchased from a big box store broke when I was doing a little bit of digging. Ultimately, this cheaply made, inexpensive tool was not worth the little bit of money that I spent on it. 7. Go on a treasure hunt. I suggest going to garage sales, thrift stores, and asking your friends and family if they have gardening supplies that they don’t need anymore. This is one great area of reuse, and it’s likely much less expensive than buying these things new. You never know what you’ll find when you look around. Craigslist and “free market” online lists are also great sources to find inexpensive or free used things for your garden. 8. Invite the “good guys” over. In addition to attracting beneficial insects and pollinators to their yards, some gardeners also purchase and release beneficial insects into their garden that will help to control unwanted insect pests that attack garden plants. If you do choose to go this route, be sure that the beneficial insects that you release have been well studied and will not themselves become invasive pests in the local area where you live. 9. 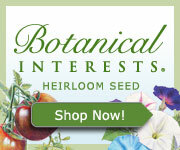 Explore companion planting. Companion planting is something that I am seriously considering experimenting with this year, as it should help to increase yield in some cases and also to reduce insect pests. By using herbs and other plants to decrease insect pests, I won’t have to worry as much about finding organic ways to combat pests. This takes some forethought and planning, but I believe that it will be well worth any effort that you put forth. Here is a great reference article from Mother Earth News about which garden plants play nicely together and which ones don’t. 10. Think polyculture over monoculture. When we plant all of the same type of plant in nice straight rows, we are advertising a big all-you-can-eat salad bar to insect pests. If you mix things up and put a variety of plants amongst other varieties of plants, this will create some confusion to pests, and reduce the opportunity for them to find all of their favorite plants in the same area. Again, this polyculture technique takes more in-depth planning than does planting all of the same thing in straight rows, but it will be well worth the effort in the reduction of insect pest attacks that you’ll have to deal with. Companion planting is one great way to approach polycultures for annuals in your edible garden, and “guilds” and food forests are a great way to explore this for perennial edibles such as fruit trees. These are just a few ideas for how to make your garden more sustainable. There are many other techniques currently being used all around the world, so look around and you might find some cool ideas out there. I personally love permaculture as a source of sustainable gardening solutions, but there are many others out there too. The important thing here is to just start somewhere and move away from using unsustainable techniques toward ones that are more nourishing to the environment and to you. It doesn’t hurt when we can save some money along the way too, as many sustainable gardening techniques focus on reducing our inputs and using materials and resources that we have locally available around us. How about you? How have you implemented environmentally sustainable practices in your garden? Thanks for your interest in my blog, Deborah. Thanks for all of the follows :). It will be fun to participate in the blog parties, and yes, I agree that it's very nice to connect with others like you who have similar interests. Stop by anytime. Happy Earth Day to you as well! Spring is finally here!!!!!! Thanks so much Deborah! Glad you enjoyed the post. Happy Earth Week! Your eye-opening post is so important to our health and to the health of our environment! Thank you so much for sharing these valuable tips for making our yards and gardens more environmentally friendly on the Healthy, Happy, Green & Natural Blog Hop! I appreciate it! Congratulations on being featured at the Link Party. Love your awesome tips and especially that one on companion planting since it will make gardens more fruitful by increasing yield as pests are decreased and increasing yield by growing more plants. Thank you for these wonderful ideas! I love this post!